Sen. Lisa Murkowski made a promise when we sent her to Washington, D.C.
She made a promise when she won a historic write-in campaign in 2010, sending her back to the nation's capital to represent the people of Alaska. "We made history!" she declared, and went on to say she follows the late Sen. Ted Stevens' motto: "To hell with politics. Let's just do what's right for Alaska." Those words couldn't be more relevant right now. Under the guise of "fixing" the health care system, Murkowski's colleagues announced their Better Care Reconciliation Act, which would implement a massive redistribution of wealth, cutting care for low-income people in order to cut taxes for the wealthy. Which is why, in an address to the state Legislature on Feb. 22, the words "… I will not vote to deny Alaskans access to the health services that Planned Parenthood provides" are so meaningful. Murkowski came out in support of Planned Parenthood. It was a critical moment for Planned Parenthood, for our patients and for communities across the state. Those words solidified her willingness to be an ally in this long fight under a new administration hellbent on attacking women and families. Sen. Murkowski, we are grateful for the support and ask you to stay strong. You have thousands of people relying on you to keep to your word and protect access to health care in Alaska. According to the Center on Budget and Policy Priorities, Alaska would be the "single most harmed state" in the entire country if this bill becomes law. This bill was negotiated by men behind closed doors. No public hearings, no time for questions and no input from the very people whose lives it will change. It is not right for Alaska, and it is not right for the United States. This bill will disproportionately affect women, requiring them to pay higher rates based on the mere fact of their gender. It will cut Essential Health Benefits protections, including maternity coverage and prescription drugs. It guts the Medicaid program, which approximately 1 in 5 women of reproductive age rely on to access no-cost, critical reproductive health care such as birth control, lifesaving cancer screenings and maternity care. It will stifle small-business owners who are working to ensure their employees have health care coverage. It will transfer wealth from middle-class and poor families to those richest Americans who need it least. Alaska has benefited substantially from Medicaid expansion implemented last year. Nearly 34,000 people now have health coverage at no cost to the state of Alaska — something to celebrate in the middle of tense budget negotiations in the Legislature. But without fail, and without imagination, congressional Republican leadership has again included language to "defund" Planned Parenthood by blocking people with Medicaid coverage from accessing preventive care at Planned Parenthood health centers — including birth control, cancer screenings, and STI testing and treatment. If Planned Parenthood is defunded, thousands in Alaska would be left with nowhere else to go. The health care system needs improvement, but the Better Care Reconciliation Act is not the answer. This bill is nothing more than legislation for men in office to benefit men in office. There is no regard for the women and families across this country. If Planned Parenthood is defunded, thousands in Alaska would be left with nowhere else to go. Resistance to the bill among their own Republicans forced Senate leaders to delay a vote that was scheduled for Thursday. 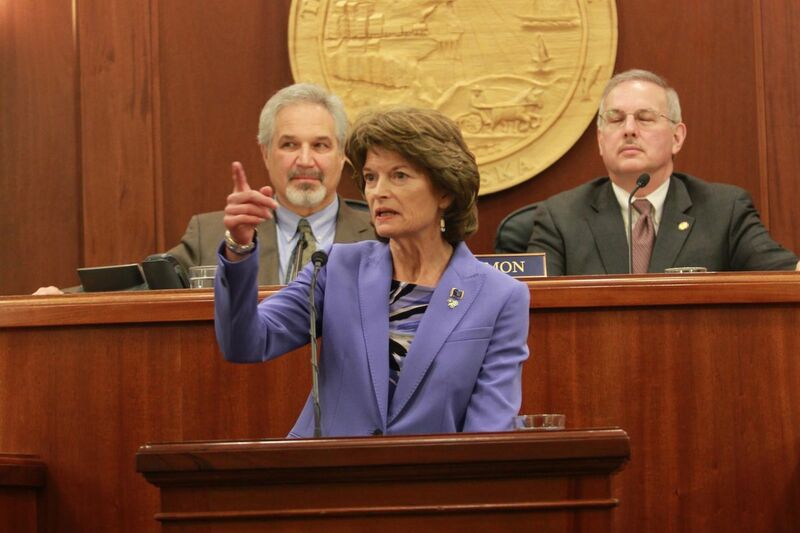 Sen. Murkowski, you made a promise to do the right thing for Alaska. You shouldn't break that promise by voting for this bill. You should stay strong once more and channel the independent spirit of Alaska. We are depending on you to protect our care. Jessica Cler is Alaska public affairs manager for Planned Parenthood Votes Northwest and Hawaii. Jessica Cler is Alaska public affairs manager for Planned Parenthood Votes Northwest.